This quite apartment is located in the heart of the Barceloneta, just 5 minutes from the beach and a 15 minute walk from Las Ramblas. It is absolutely perfect for two-four people looking for a beach getaway, but next to the city life. This cozy apartment is fully furnished. It has one large and comfortable bedroom. The bed is double and all the bed linens and towels are included. There are a living-room with a double sofa-bed, dinning table & chairs and TV. A fully equipped American kitchen is available too. 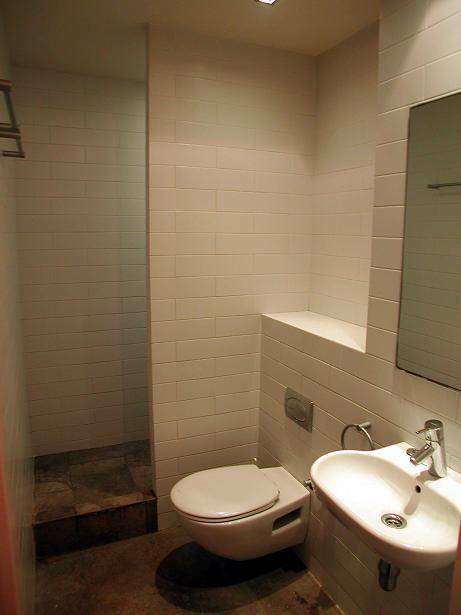 The bathroom has a shower, toilet and sink. 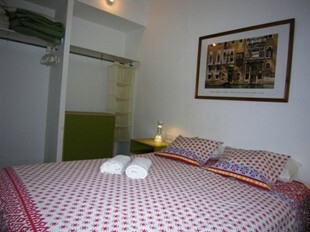 ADDITIONAL GUESTS: 2 additional guests can stay in the flat. The apartment allows a maximum of 4 people. 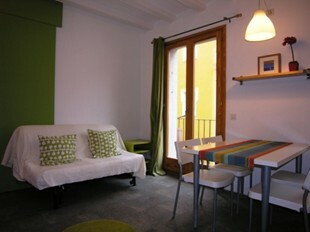 Price is 15 euros per night for each additional guest. Please, note you can book for only 2 people trough this website. If you want to stay additional guests, please contact with us by phone or email in order to prepare the apartment properly. 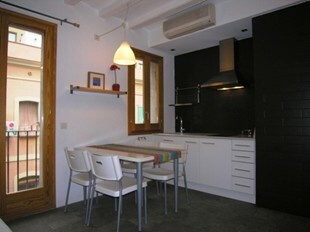 The apartment is located in the most famous beach in Barcelona. This area is called 'THE BARCELONETA.' This is a neighborhood that is full of Locals and Turists. The streets are small and quiet. The beach is just a 5 minute walk from the front door. There are many great seafood restaurants and bars in the area. You can find supermarket, fresh food market, and public transportation, bus, metro, taxi too. The old city and center square is with in 20 minutes. Children up to 5 years old do not pay. Children 6 years old or older pay full rate. This is a neighborhood that is full of Locals and Turists. The streets are small and quiet. The beach is just a 5 minute walk from the front door. There are many great seafood restaurants and bars in the area. You can find supermarket, fresh food market, and public transportation, bus, metro, taxi too. The old city and center square is with in 20 minutes. 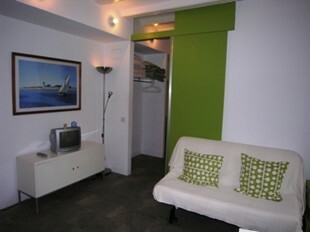 CLEANING FEE: This apartment requires one time 40 euros cleaning fee. SECURITY DEPOSIT: There is a 200 euros security deposit (refundable at check out if no complaints happen). ADDITIONAL GUESTS: 2 additional guests are welcome to stay in the flat. The apartment allows a maximum of 4 people. 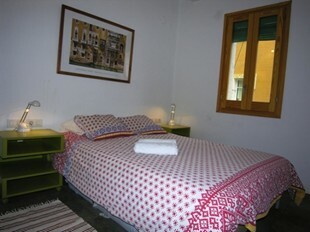 Price is 10 euros per night for each additional guest. Please, note you can book for only 2 people trough this website. If you want to stay additional guests, please contact with us by phone or email in order to prepare the apartment properly. The amount due, cleaning fee and security deposit must be payed on arrival in CASH EUROS. Other currencies, credit cards, or checks not accepted. Cancellations must be done at least 48hrs prior arrival time otherwise we will charge you the first night accommodation. The same charge in the event of no-show. REMINDER: CALL US WHEN YOU ARRIVE TO BARCELONA to set the exact time to check you in and give you the keys. PAYMENT UPON ARRIVAL: remaining due, cleaning fee and security deposit have to be paid in cash only when the guest arrives to the apartment. CANCELLATION POLICY: Any cancellations must be notified directly to the hostel by email at least 48 hrs in advance of your scheduled arrival time. Otherwise, the first night will be charged onto your credit card. If you cancel any individual night of your reservation, then the deposit for that night will be not be refunded or transferred. Take the Aerobus to Placa Catalunya. Then take a taxi or the #17 bus direction BARCELONETA. Exit the first stop when you enter the port and see all the boats. Walk the street Sant Carles 100m to Salamanca Street and go left. Take the L3 GREEN METRO to the station DRASSANES. Then take a taxi or the #59 bus direction BARCELONETA. Exit the first stop when you enter the port and see all the boats. Walk the street Sant Carles to Salamanca Street and go left. Take a taxi to the area 'BARCELONETA' near the corner of SANT CARLES and SALAMANCA, or take the metro to the 'BARCELONETA' station. Then walk on the main street Pg. Joan de Borbó 400m go left on the street Sant Carles 150m to Salamanca Street and go left.